Nearly 300 couples from Hindu and Muslim communities tied the knot at mass marriage ceremonies organised by the Uttar Pradesh government in Aligarh and Moradabad on Saturday. While 182 couples exchanged vows in Moradabad, 109 couples got married in Aligarh in the presence of their families and friends. The ceremonies were conducted by priests and religious leaders in accordance with the rituals of their respective religions. Aligarh MP Satish Gautam, BJP MLAs Sanjeev Raja and Anil Parashar, along with other administrative officials, were present at the occasion and blessed the couples. 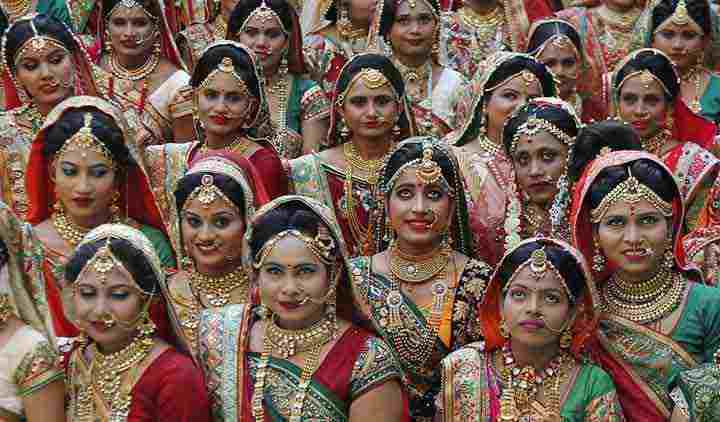 The ceremonies were organised under the ‘Mukhyamantri Samoohik Vivaah Yojana‘, a mass marriage scheme, initiated by Uttar Pradesh Chief Minister Yogi Adityanath‘s government. “This yojana has been giving benefits to various communities. We have arranged everything here for the couples. The wedding ceremonies were held in the state to spread a message of diversity,” Gautam said.